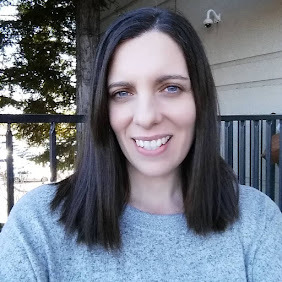 Recently we visited the Woodland Park Zoo in Seattle to check out the bird exhibits. Since watching Rio the movie JJ has been really interested in all birds of any kind. We thought what a great way to have a fun family day while also incorporating a little learning along the way. I love outings like that! Our first stop was the Willawong Station, a place where you can get up close and personal with some birds and feed them as well. You can buy a stick of food for a dollar and hold it up to the birds and hope that they land on it. I say hope because I am sure with people coming in and out all day long that at some point they are full. We were able to get a few birds to land on our sticks and that was so exciting! Even if they don't come to your tasty treat they are really cool to see flying around right above your head. Next we stopped off to see the Knobbed Hornbill. The Sulawesi Red-Knobbed Hornbill to be exact. The Hornbill and the Toucan look a lot a like so JJ wanted to check them out. Come to find out they are very different, Toucans live only in Central and South America; hornbills live only in Africa and Asia. Toucans are more closely related to woodpeckers, while hornbills are more closely related to kingfishers. 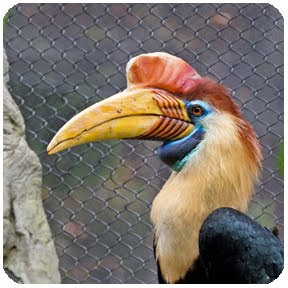 The Hornbills were a little tricky for us to find so here is the info from the Zoo's web site: Sulawesi red-knobbed hornbills are on exhibit in the large enclosure north of the Conservation Aviary in the Temperate Forest. The Temperate Forest also includes the Family Farm, “Bug” World, Wetlands, and Asian Cranes. Other birds on exhibit in the Conservation Aviary include: various pheasant species, curassows and trumpeters from South America, and several softbills (jays, laughing thrushes, turacos, whistling thrushes, birds of paradise, mynahs). While at the Woodland Park Zoo we enjoyed all of the other animals as well. JJ loved the Family Farm where he could pet the goats and other animals. Baby L, not so much but he loves to be carried by his Dad no matter what they are doing. It was a great day to enjoy the sunshine and all that the Zoo had to offer. We go at least a few times every year and every time we leave we always talk about what a great day we had. You can find out more about the Woodland Park Zoo on their facebook and twitter pages. For more about the Hornbill Research Foundation and how the people of Thailand in the birds natural habitat have worked to protect the birds from poachers and illegally logging you can visit the site. 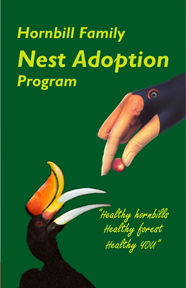 There is also a very neat Adopt a Nest Program where you can donate money to help protect Hornbill nests. allows villagers to collect data on hornbills for research and monitor and secure long-term hornbill populations in the area. * I was not paid for this post. My family and I received passes to visit the Zoo for the day and feed the birds at the Willawong station. The opinions are 100% mine and may vary from others.